Fueling speculation about his White House ambitions, New Jersey Sen. Cory Booker will headline a Democratic fundraiser in South Carolina, which hosts the South’s first presidential primary. The Orangeburg County Democratic Party told The Associated Press that Booker is scheduled to attend its annual fundraising gala Oct. 18. That will put him in front of more than 1,000 South Carolina Democrats, including many of the state’s most prominent black leaders and activists. The event will mark Booker’s first trip to South Carolina since President Donald Trump took office. South Carolina is the first early voting state with a significant black population. Booker, one of three African-American senators, sought to frame his South Carolina trip in the context of the November midterm election, and a Booker aide said the South Carolina trip would involve additional appearances on behalf of Democratic candidates running this year. Indeed, Booker and other speculative presidential hopefuls like fellow Sens. Kamala Harris of California and Elizabeth Warren of Massachusetts have confined their travel itineraries mostly to midterm battlegrounds, and Warren has her own re-election campaign this year. But South Carolina Democrats face an uphill battle this November, with gubernatorial nominee James Smith being a decided underdog against incumbent Republican and Trump ally Henry McMaster. The Orangeburg event coincides with fall homecoming festivities of South Carolina State University, the local historically black campus. Orangeburg Democratic Chairman Kenny Glover, who issues the invitation, said he simply wanted “a national figure” for the event, but he stopped short of declaring Booker a 2020 favorite. “Oh, we do not endorse,” he said. Barack Obama in 2008 and Hillary Clinton in 2016 swept South Carolina and other Southern primaries, with their support in the black community fueling early delegate leads that propelled them to the Democratic nomination. In fact, both Obama and Clinton lost the national cumulative white vote, according to primary exit polls, but captured the nomination anyway because of margins among non-whites. Certainly, the expected crowded field in 2020 isn’t likely to play out exactly as those previous nomination fights that settled quickly into two-candidate races, and leading black Democrats say African-Americans may not coalesce clearly behind a single candidate at all. 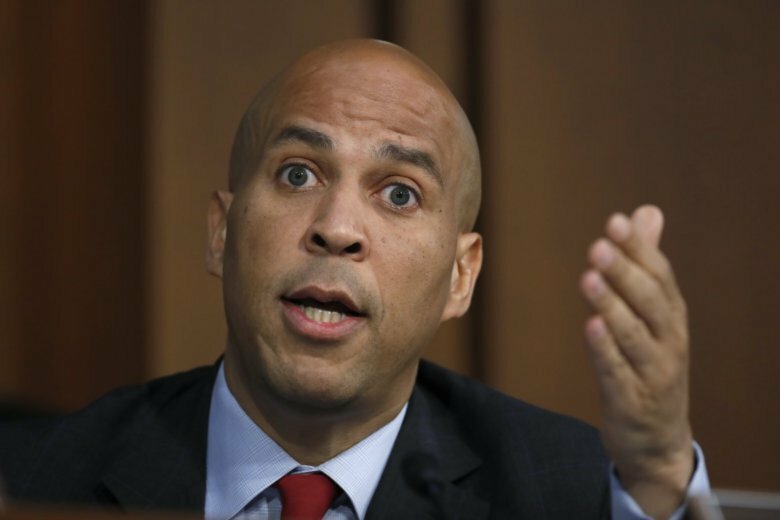 Besides Booker, the potential African-American candidates include Harris, former Attorney General Eric Holder and former Massachusetts Gov. Deval Patrick. Former Vice President Joe Biden also has deep ties in the black community and the appeal of having served as top lieutenant to Obama, the nation’s first black president. Congressional Black Caucus Chairman Cedric Richmond said in a recent interview that the allure of history and kinship won’t be the same as it was for black voters during Obama’s 2008 campaign.